QOTW: Did you fall short of winning the lottery? But I think region exclusives are fine, if sometimes frustrating. 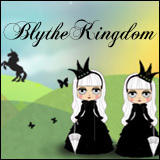 Especially if the licensing just costs too much – I think Blythe is still a relatively niche product? So it may well just be too costly to license certain brands, etc., for an international market. I don’t think, as some have suggested, they do it just to make the doll more exclusive and therefore more expensive – they’re only going to get the retail price, after all, not the eBay markup. But I’m also not very business minded and don’t 100% understand all those nuances. Haha. 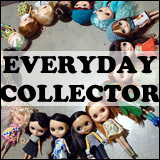 I live in Australia so I’m very used to having limited access to dolls or other collectibles I want, though. 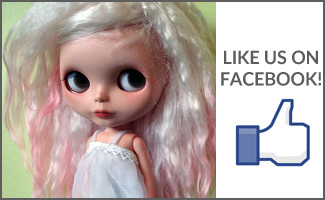 It’s frustrating, for sure, but it doesn’t seem to happen very often at all with Blythe, comparatively speaking. I think region exclusives are fine. Yeah, it can be frustrating, but if it costs that much to have the license for certain brands, and it is uncertain if the international market will like it, it’s really hard to say if they’d make their money back. It’s like me trying to get some exclusive Hello Kitty collabs in Asia. If there’s no guarantee that international audiences know what Japanese brand that Hello Kitty is partnering with, I have little chance in getting it. When the My Melody girl came out, I thought her hair colour was nice. But for me personally, I don’t have a strong connection to My Melody. So learning that she was region exclusive didn’t really concern me as much. Hate it! And it does beg the question as to why they’d want to do this anyway. 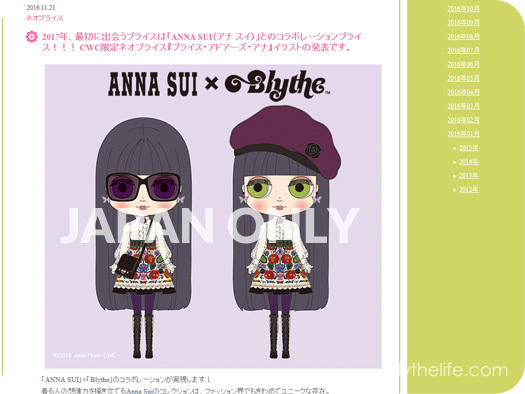 Blythe has a lot of international fans who have elevated her to something well beyond the stock dolls. I also just don’t like it from a business and trade perspective. It’s bad enough legit retailers in the US and other countries can’t get Blythe wholesale to resell in their own shops, but to flat out say “Japan Only” is ill-advised and unseemly. Despite it all I still love that big eyed doll! I have the opportunity to purchase one of these dolls, phew it’s expensive!! I know it’s limited edition but is it worth it? Do they hold their value? I would never recommend someone to buy a doll in hopes that it’ll “hold” the value. Later down the line, who knows if the doll will still be sought after? However, given that it is a limited edition doll, chances are that you should at the very least be able to resell the doll for what you paid (especially if you keep all of the stock clothing/pieces and the box).